" If you're in need, go see Dr., Wolcott. She reconnected a torn meniscus root which was not clearly known at the time of surgery. However, she covered all the posibilities prior to the surgery with the worse case scenario so I could decide in advance what I was willing to endure for non-weight bearing recovery. She is personable, professional and did a great job on my meniscus for a repair that does not have 100% fix. She also has a great staff!!!! " " Spends time with the patient - answering all questions and going through imaging - explaining what is wrong, why, and what your options are to fix it. Not only is good with - but she encourages lots of communication. She also did my ACL reconstruction surgery which had no complications, and at one month post-op, my scar looks incredible! " 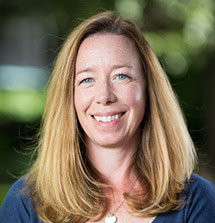 " I went to UC Health for a running related knee issue. Dr. Wolcott was thorough, a great listener, a fabulous communicator, and excellent at creating trust. From the moment I walked in EVERYONE acted as if I were the only patient they had. Attentive, never rushed "
Osgood-Schlatter disease refers to a condition of an overuse injury that occurs in the knee region of growing children and adolescents. This is caused by inflammation of the tendon located below the kneecap (patellar tendon). Children and adolescents who participate in sports such as soccer, gymnastics, basketball and distance running are at higher risk of this disease. Outdoor sports activities which involve a lot of running and jumping may induce stress on the thigh muscles which in turn pull the patellar tendon which connects the kneecap to the tibia. Repeated stress can cause the tendon to move away from the tibia which results in pain and swelling of the affected knee. In some cases, the body may try to close the gap with new bone growth which results in a bony lump in that region. 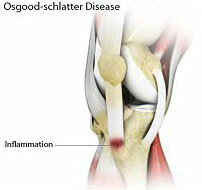 Diagnosis of Osgood-Schlatter disease includes review of symptoms and medical history. A physical examination will be performed where your doctor will check your child's knee for pain, swelling, and inflammation. An X-ray or MRI scan may be ordered to view images of the bones of the knee and examine in detail the area of the affected tendons and tibia.